There is new hope for biodeisal from a little known tree, the pongamia pinnata tree. It will not reduce food production as it grows on poor land but much more research is needed before we can be sure it will work. Pongamia pinnata is native to Australia, India and parts of southeast Asia. Its oil has so far been used in medicines, lubricants and oil lamps. Pongamia is attractive because, after six years of cultivation, its oil yield is estimated to rise to around 23 tonnes per hectare per year — almost double yields of 12 tonnes from jatropha (see below), another tree that is a biodiesel feed crop, and 11 tonnes from palm oil. But the optimism is cautious as prior experience with jatropha shows that what looks like a promising crop may prove disappointing. A few years ago, jatropha was hailed as a biofuel alternative to fossil fuels that would not further impoverish developing countries by diverting resources away from food production. Its high oil yield and ability to grow on marginal land were attractive, but its commercial promise was overstated. Some farmers found that it needed fertilizer to thrive and that its harvesting and processing proved energy-intensive. However, the evergreen pongamia can grow on marginal arid or semi-arid land and is a nitrogen-fixing tree, which means that it helps fertilize the soil, is promising. While several large organisations have already planted trees in unused areas of Australia and India, it also believed that there is a role for small scale production. India has recognized the potential for small-holders to grow the tree on marginal land and has encouraged them to plant around 25 million trees since 2003 and has bought the seed pods for processing into biodiesel. More than 750,000 people live on Africa’s largest informal settlement Kibera, where it was not usual for more than 200 people to share a pit latrine, which often overflow and are emptied into a river where children play. The alternative was ‘flying toilets; people left with little choice but to use plastic or paper bags as toilets and then throw them out of the home. Diseases such as typhoid and cholera thrive in these conditions and children are especially vulnerable. According to the United Nations, worldwide, a child dies every 15 seconds from these diseases. One project which has proved incredibly popular is working with communities to build and run a shower and toilet block. The waste passes into a thick, concrete chamber, producing methane, which is connected to a water heating system for the showers. The community runs this scheme and even employs a caretaker and cleaner. As well as employing people to keep the toilets clean and tidy, the toilets and showers have had another major effect on the community; the areas has become a hive of social activity. Throughout the day the steps are bustling with people as women and mothers meet while the steps give children somewhere to play. Over the course of a week, more than 2,700 people visit the toilets (395 per day) and 290 people use the showers (41 per week). A liquid looking like treacle is produced by the fast pyrolysis of biomass such as corn stalks or wood chips. Fast pyrolysis involves quickly heating the biomass without oxygen to produce liquid or gas products. This is a new way to make inexpensive sugars from biomass. That’s a big deal because those sugars can be further processed into biofuels. It has the potential to be the cheapest way to produce biofuels or biorenewable chemicals. Britain’s biggest coal-burning power station, Drax in North Yorkshire, generates 7 percent of the UK’s electricity — a sizeable chunk of that from biomass. “Twelve percent of the fuel that we can burn today is biomass so that means 12 percent of the electricity comes from biomass which is a renewable fuel,” said Peter Emery, production director at Drax. Drax has the world’s biggest coal and biomass co-burning facility, able to use 1.4 million tones a year of plant material to drive a steam turbine and generate electricity. Energy crops are often blamed for pushing up world food prices. Drax said it would not contract farmers planning to convert from cereals such as wheat and added that Miscanthus was unlikely to be economic on high-grade land, given currently high grain prices. Miscanthus is being promoted alongside willow, sawdust and straw as biomass for producing heat and power when burned, without causing net emissions of greenhouse gas carbon dioxide. In spite of the economic crises of 2007-9, renewable energy sources continue to grow. Close to one quester of the energy supply generally and approaching 20% of the electricity comes from renewable resources. And all this is despite low oil prices and the poor performance of the Copenhagen Summit in Dec 2009. The prime movers are photovoltaic and wind power. China is in the lead, have added 37GW last year, of which 13,8 GW was wind power. Germany is top of the PV market having added 3.8GW. Biomass power plants exist in over 50 countries around the world with Austria and Finland forging ahead with this. One of the reasons for this growth, is that you can start small and cheap, unlike hugely expensive fossil fuel or nuclear power stations. Cheaper, local ingredients make bioethanol more profitable, and sustainable, than far more widely produced biodiesel in Europe, even though it adds to a surplus of conventional petrol while diesel remains more in demand. Biodiesel has to be made from vegetable oils, which have to be mostly imported and are far more expensive than locally grown cereals, the main raw material for bioethanol, which can be blended with petrol. Reuters data show that a tonne of biodiesel costs 803 euros to refine in Germany — using palm oil at 715 euros/tonne — but will sell at 721 euros. Not much profit there! Bioethinol: In Spanish ports, a tonne of local wheat costs 150 euros and can be used to make 387 litres of ethanol, so grain costing 388 euros will make one cubic meter. But it sells 470 euros/m3. Now does not that more sense? As a result, several large European biofuel manufacturers see bioethanol as a better long-term business. Producers in some countries hoped for a near-term boost to demand for bioethanol by increasing the percentage in petrol to 10%. France and Poland have already introduced E10, and Germany is likely to follow suit in late 2010 or 2011, although the government has yet to set a date. “E10 will probably become a standard in coming years and its introduction in a large consuming country like Germany would certainly be an advantage to other countries which wish to follow.” . I know probably some of you know about biofuels, like using vegetables and things to fuel cars but i saw this and thought, this is a whole new teritory of biofuel! Sorry to all bunny lovers out there! Hordes of rabbits, some abandoned by their owners or escaped, are being killed, frozen and converted to biofuel for heating homes in Sweden. The practice has been criticized by Sweden’s Society for the Protection of Wild Rabbits, but officials say the fuzzy hoppers are a major pest, doing considerable damage to parks, homes and infrastructure each year. “It is in winter they do the most damage. Then they eat tree bark, wood, anything. This is when they cause the most costly damage,” said Tommy Tuvunger at the Stockholm Traffic Office. "The contractor doesn't just pick up rabbits. He also picks up cats, deer, horses and cows." — Tommy Tuvunger. Thousands of the rabbits have been shot by two specially hired people who usually go out at dawn and use guns with silencers. They are then deep-frozen and taken to a Daka Biodiesel plant in central Sweden for incineration as fuel. 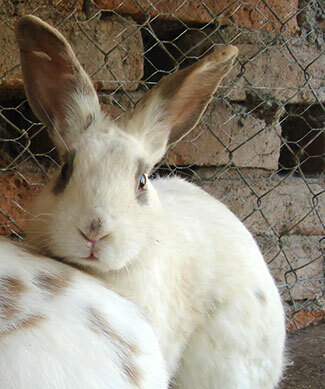 “Once culled, the rabbits are frozen and when we have enough; a contractor comes and takes them away,” said Tuvunger. “Those who support the culling of rabbits surely think it’s good to use the bodies for a good cause. But it feels like they’re trying to turn the animals into an industry rather than look at the main problem,” Anna Johannesson of the society told Vårt Kungsholmen. A regular sewage plant for 28,000 people costs about €225,000 a year to run according to figures from Germany. Installing a new form of digester unit (many sewage plants don’t have them) made by IGB, shortened the digestion process from 30-50 days down to 5-7 days. In addition there is reduction in the residue by about 1/3 which reduces disposal cost by €70,000 a year. In addition, sewage plants us a lot of electricity in the process. The biogas produced by the digester can provide enough electricity to reduce costs by a further €100,000 a year. A bit of a no-brainer? Jatropha and castor were selected as the first source of oil by AEG due to the resiliency of the plant, its ability to grow in marginal soil conditions and the extremely high-yield of oil to hectare as compared to other crops such as soybean. The ability of jatropha to thrive in harsh climates is also favorable, as the plant will not be competing with land that could otherwise be used for food production. Electric vehicles using biomass converted into electricity travelled 81 percent farther per area of cropland than vehicles with internal combustion engines running on ethanol, researchers in California found. A small sport utility vehicle could do 36,000 km on the energy produced from a hectare of switch-grass converted into ethanol. But converting that biomass into electricity allowed a battery-powered SUV to get 56,000 km on the highway, the study published in Science magazine said. But we do not yet produce enough switch grass to run power stations nor is the development of 2nd generation bio-fuels sufficiently advanced for this to be a current reality. But certainly the idea that electric cars could prove to be more efficient than those run on bio-fuels is something to bear in mind.